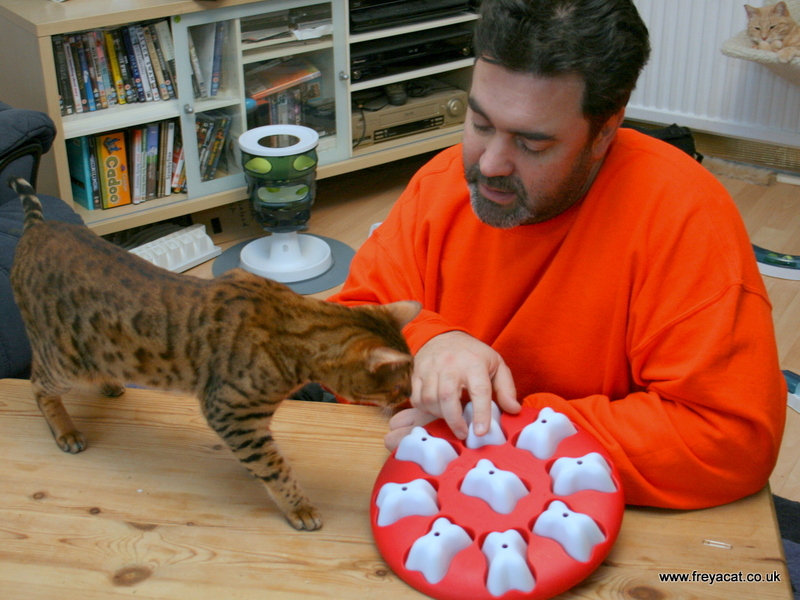 Nina Ottoson Dog Magic puzzle feeder for cats Review | A Cat Called Freya, and Teego Too! Great video Daddycat! It’s really nice to see how it works before buying it. Freya and Teego are very clever! 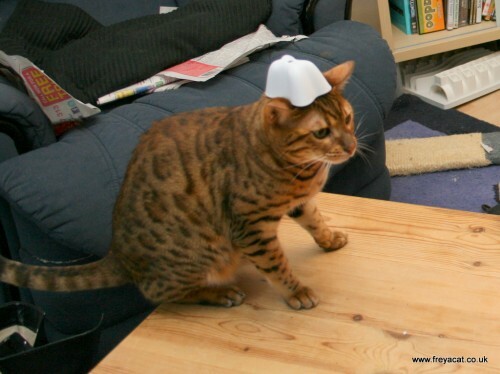 Freya, I love the hat… Who knows, you might start a new ladycat fashion trends! Oh la la! Of course Freya and Teego figured it out easily – it’s a dog game, and those are way easy! 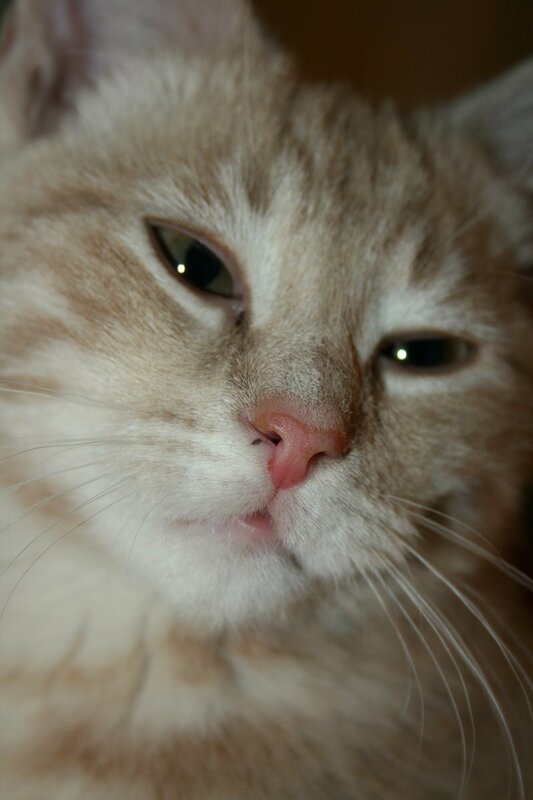 Chatzi is a lot like Binga – pushy and gets into everything, and complains when she is locked out. Freya and Teego, you are so smart! You figured that game out very easily. Is it mean that we laughed at Chatzi in the background, trying to get into the room? Lovely video, well done Freya & Teego! Would have been interesting to see how chatzi got on too! nice video great joy of seeing. Excellent! Loved seeing Freya, beauty & brains! Teego just soooo handsome and gentle, and Chatzi mouth! would love to see chatzi go, who i can imagine he will wreck it and in seconds too! After seeing this video, I spontaneously bought this for my cat, Cleo. At the moment, she is a bit down and not sure what to do the whole day, as her playbuddy died last week. I thought that this was a perfect thing where I could engage her a bit more, do something together with her and get her a bit out of her shell. And it worked perfectly She loved it, figured it out quite quickly (and I was proud to see, as fast as Freya and Teego 😉 ), and loved every moment of it. Very interesting to see: I put two treats beneath some caps, and only one beneath others – and without fail, the caps with the two pieces under it were tackled first. Probably the bit stronger smell. Haha very fun. Looks like something a cat can really get into. We are looking for more toys to keep Bella entertained – thanks for the review! The cat is so cool with those puzzles solved, I bet he is a smart one. It is hard to train such creatures without bond that ties you to it. It is a big responsibility though. Love the headgear I have dogs and cats, I’m going to get this thing and see who works it out first! I can’t get my pet to play with anything, maybe this is worth a try. Hi there hope you are well? I work for a pet product company and would love the opportunity to work with you. If you could please contact me at chloe.longfield@hattrickpr.co.uk thanks. So here is my problem, the only creature in my house to get trained is me…so I envision my cats staring at the puzzle then back at me, as if to say. Yeh we know there is food in there lift the lid already slave.